What is a semi inground pool? 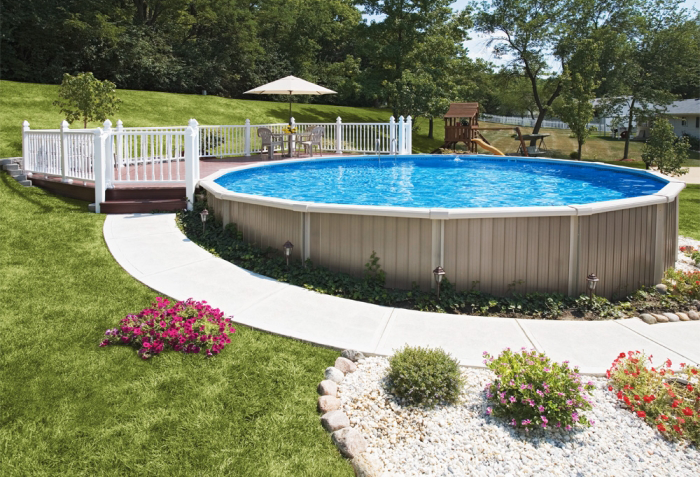 A semi inground pool is an above ground pool that can be put partially in the ground. They are sturdier than standard above ground pools so that they can withstand the pressure from backfill or dirt against the pool wall. Are the pools made from metal or aluminum? 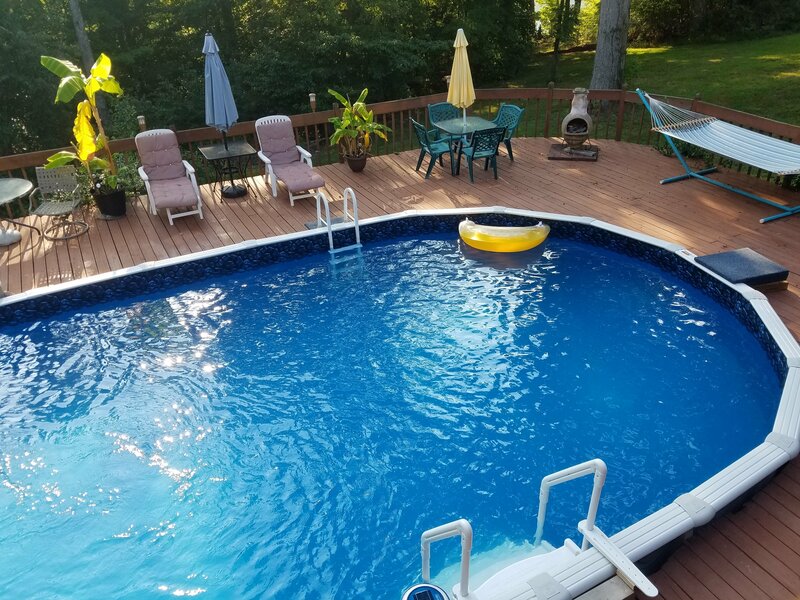 The most popular semi inground pools are made from aluminum because of being rust proof, and if the aluminum is coated with resin or other coatings it helps with the resistance of corrosion. However, there are metal wall pools that have resin rails, resin uprights, and protective coatings on the walls that can withstand the acidity in the soil. Why would someone choose a semi inground pool over an inground swimming pool? Uncontrollable factors such as a hillside, rocks, or live in an area that has an extremely high water table that prevents them from having a fully inground pool. There are also customers that prefer the easy installation of an above ground pool. 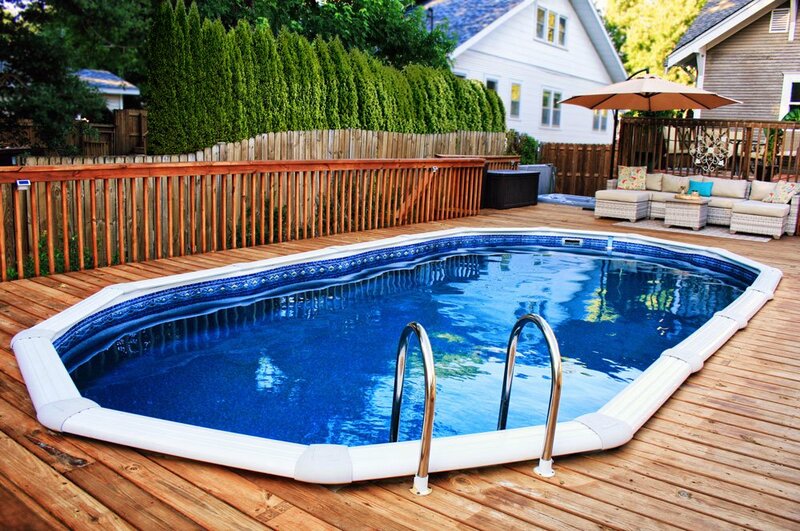 How many semi inground swimming pools do you offer? Royal Swimming Pools currently has several semi-inground swimming pools from a number of brands and styles, all of which you can view here! Is there only one size or shape available in the different models? The semi inground swimming pools that we offer are available in either round or oval and are available in a variety of sizes. Who manufactures the semi inground pools? Wilbar manufactures the Oasis and the Bermuda semi inground pools. The Palm Shore is manufactured by Doughboy and has a lifetime warranty. Where are the semi inground pools made? 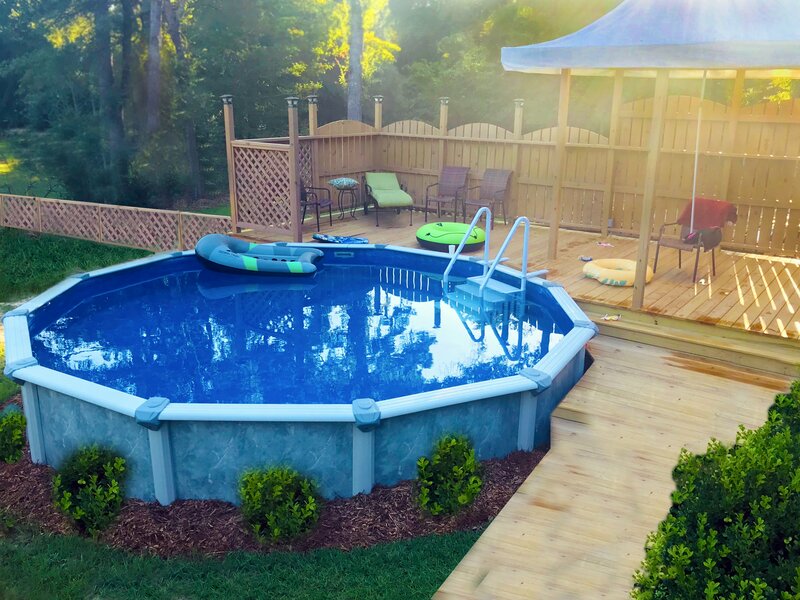 The three semi inground pool models that we offer are made in the U.S.A.